HomeCorporate giftsShow your customers your appreciation! Show your customers your appreciation! Today we launched our corporate gift range of stationery at Connect Business 2016! 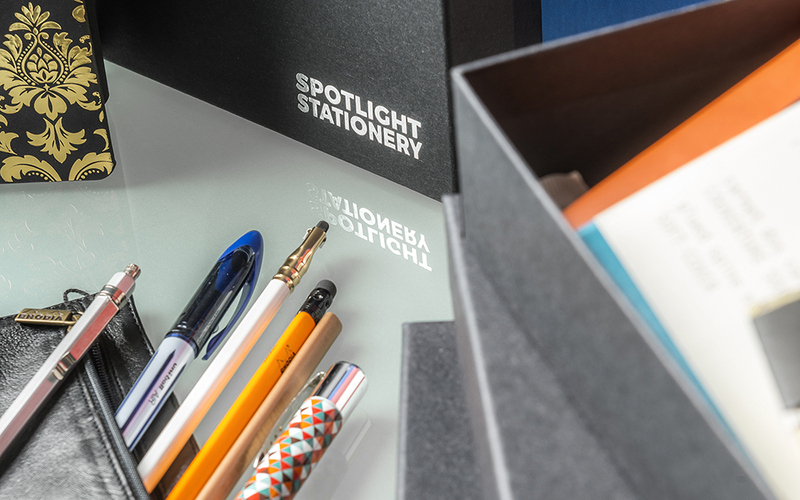 We’ve had some spiffy new boxes made emblazoned with our logo in silver foil and we can fill them with your own customised choice of stationery gorgeousness, including leather notebook covers from Start Bay Notebooks, journals from producers such as The Stamford Notebook Company, Castelli and Paper-Oh, and pens from Diplomat and Zebra. Not forgetting my favourite pencils from Palomino. The minimum order quantity is… one! If you would like to notebooks and/or boxes to be branded, that goes up to 50, with smaller branded quantities available on the Start Bay leather covers. Please get in touch if you have any questions or would like to arrange a meeting – we’d be very happy to show you the full range of products on offer. National Star College artists on the radio!